WOWZER! We are having gust of 41mph today. And the Jackman Airport reporting gusts of 56mph. Not a day to be outside. 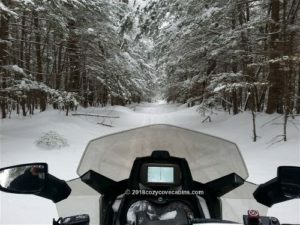 We had about 14 inches of snow last week, then a bit of rain which really only improved the trails. Yesterday the groomers all went out and worked their magic. 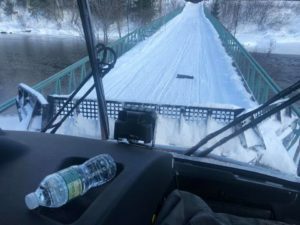 This photo is the bridge that crossed over Moose River. But I like this one as he captured the trail in front of him as well as what is behind him. Nice shot Matt Stone! Reports from our guests and others on the BRC FB page is that the trails are awesome, “mint” and perfect. The skies are blue today and a perfect day to be out on the trails. 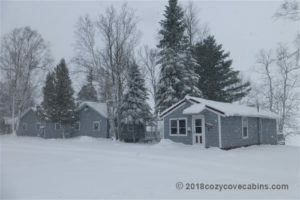 More snow in the forecast! No, that is not what this is but with all the wind and the snow drifts over the ice, and how the sun is hitting it just right? It could be waves on a white ocean? We, Steve, Tami and Maggie would like to wish all of you a very Merry Christmas and a healthy prosperous new year. WOw, this is the first time in the 15 years we have been here that they can actually say that the trails are open on December 15th! Of course not everything is in good condition yet but this is going to give us a good solid base. It seems if everyone can just wait a bit to ride, the trails will get better with more snow. 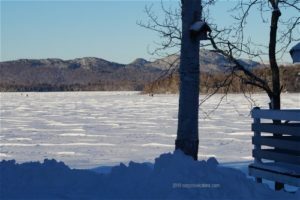 Snow shoe and X country ski trails? Yes indeed. Unity College:Sky Lodge has opened their cross country ski and snow shoe trails to the general public. What a wonderful opportunity for everyone to enjoy this area without the sounds of a motor. There is no fee to use the trails, though donations to support of trail maintenance and grooming are welcome. There is a donation box at the trailhead. Trails are “Use is at your own risk.” Parking is available by the main lodge. From the parking lot at the main lodge, walk to the far end of the open field where you will find the trailhead marked with a sign. Follow the blue blazes to complete the full loop. Their Blue Trail (a 1.5-mile loop) is currently open for snowshoeing as of November 28, 2018. They will start grooming for cross-country skiing as well on Saturday, December 1, 2018. What a wonderful contribution to our community. 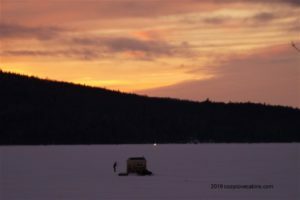 As with all winter activities in the region, please respect the landowners who offer this experience. It is simply beautiful out there and I had to share this with you. I took this photo about 10AM, and it is still snowing. I estimate that the total amount at that time was about 9 inches but we have started to get a little wind. Some snow blew off the deck and maybe some snow added to it. They say our totals should be over a foot after all said and done. Hopefully, trails will open early this year. As you know, we have already had a very cold and snowy November which has begun eating up the oil consumption. Also consider that our oil prices, electric rates as well as water and sewer rates have all gone up this year for our area. I am sure many people feel these increases also, not just in Jackman, but why did they all increase the same year? Many hotels, cabins, and resorts all seem to raise their rates during the winter, on weekends, and even for Holidays. I never understood why they would do this on Holidays or weekends….well, I understand why but we have just disagreed with this so we never chose to do this. Instead of raising all of our rates, this is what we chose to do this year. We also considered cabin rates in other larger towns with trails. In general, our area is so much less. 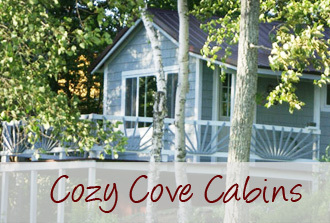 With that all being said, we increased our base rate for the cabins for the months of January, February and March. We did not change the additional person rate of $35 so as before, the more you have in a cabin, the less per person. So for 4 people in a 2 bedroom, it is still only $40/night. If you made your reservation for this winter before today, we will honor the original base rate. 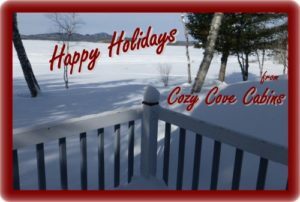 To offset this increase and to encourage weekday rentals, we are offering a Winter mid week special: stay any 3 nights Sunday-Thursday and we will take $10 off/ night. 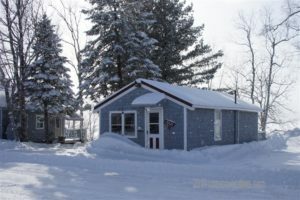 This would be only $37.50/person for 4 people in a 2 bedroom cabin. Mid week riding is generally better and less crowded so come on up and take advantage of this discount. Thanks for staying with us and keep doing the snow dance.